At this present moment, the second largest abortion facility in the world, next to China, is being built in Houston, Texas. This six-story, 78,000 square foot, Planned Parenthood abortion “Super Center” is right in the middle of four minority neighborhoods. Three of these neighborhoods average an 85% Hispanic population and the fourth is 80% Black American. Planned Parenthood is targeting these minority communities and families to fuel their abortion industry. 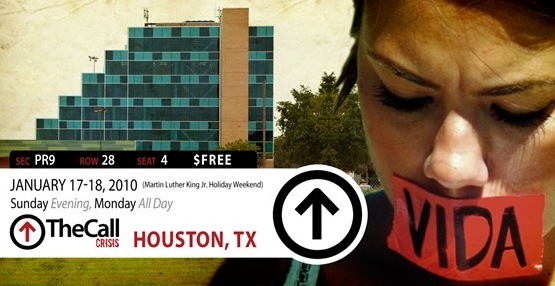 On Martin Luther King Jr.’s holiday, January 18th, 2010, at 9:30am thousands of us along with key Black-American and Hispanic leaders will gather to march silently, pray, fast, and peacefully witness against this massive abortion facility. Afterwards, we will hold a National Press Conference. Who knows? Even as Birmingham, Alabama was a flashpoint for the Civil Right’s Movement perhaps Houston could become a flashpoint for the unborn. We believe it is time to “subpoena the conscience” of the nation against this facility that our nation may be healed. Jeremiah 1:5 says, “Before I formed you in the womb I knew you.” Clearly, for every child God has a dream. Martin Luther King, Jr. cried, “I have a dream!” His niece Alveda King has prophetically stated, “How can the dream live as long as we kill our children?” God also has a dream for America, and a massive six-story abortion facility has never been a part of that dream. Let the nightmare end, and let the dream live.